“No Egos, No Sales” This was an underlaying theme that ran through the weekend activities at Faffcon3. I have to say it was adhered to by all the talented people who attended or conducted sessions. We were a good sized enthusiastic group of about 104 actual registered guests. However, it looked to me like more than that attended this intense but free spirited 2-day long “conversation” about living the life of a Voice Actor. Most every aspect of the business was represented by the session speakers, including the technical/recording aspect, marketing/advertising and client services aspect, talent performance, (broken down into auditioning, directing, script interpretation, etiquette, voice preparation, vocal technique, style, health care, etc.) and setting rates for your services. Personally, I attended more of the business discussions than the technical ones. But only because there was some session overlap. Once I was in a session I stayed throughout for fear of missing something. Although, we were free to roam from session to session at any time. This comprehensive, well organized, incredible event was the brainchild of Amy Snively and helped out by volunteers Dawn Harvey, Lauren McCullough, Pam Tierney and others. Session speakers were numorous and knowledgeable including Bob Sour, Doug Turkel, David Goldberg (Edge Studio), Dan Lenard, Dan Friedman, Philip Banks, Peter O’Connel, Randye Kaye, Paul Strikwerda and more. The companies represented and/or sponsors were VoiceBank, Edge Studio, CEntrance, VoiceOverXtra and others. It’s worth noting that each session was conducted by one of our own. Not a self proclaimed expert or not really an expert at all. The whole point to this “unconference” was to share ideas and experiences with each other as we go about our careers as voice talent. There were no hangups, no superstars and no pushy sales people in the bunch! If anyone of us felt we were in competition with another, I sure saw no eveidence of it. After all, we are not all a like. What we bring into a project with our voices is completely unique to each talent. Just as no two voices are alike, no two people are alike either. It’s up to us as talent to bring as much of “us”... our personalities... into a script as possible. That’s what we as indivuduals are being hired for. To breathe LIFE into the written word. If they didn’t want that they’d use a robot. And sometimes they do. (Sometimes it works.) You’ve heard it said, “It’s not your voice, it’s how you use it that matters.” And it’s an ongoing skill we should keep sharpining all the time as we grow in our businesses. Personally, I know that I don’t sound like anyone else out there. Based on that awareness, I just continue to work at adding interest to my performances. Performances? Yes, each time we’re at the mic it becomes a new one. So commit to it that way. The thing about these conferences or unconferences is that you only get out of them what you put into them. If you’re like me, I need to go back home, review my notes and digest what I’ve just been through. Reflecting on the weekend is a chance for me to be very honest and critical with myself. Asking, where do I see room for improvement in my voice acting career? I believe I have the voice, the skills, the understanding of the business, a strong brand ... as “The Voice of Americana”, the technical expertise and the commitment to continue a long career. However, the marketing area of the business is where I need a boost. I’ve been using postcards, emails, newsletters and SN sites as marketing tools. But they don’t always hit the mark. As Doug Turkel reminded us in his insightful session, “You need to ask yourself how you would find that certain voice you’re looking for if you were the client? What criteria would you use? What type of Google search? Keywords? Would you seek out people in similar industries as the ultimate client whose project you are working on? What would be the fastest way to find the voice I need? Other than using a P2P website and listening to hundreds of audition files whose voices really aren’t right for the project anyway. In other words, what can I do to allow those looking for my specific kind of voice to find me easier and faster? THIS is my new goal! This is what I need to do more than anything for my business to maintain dailey VO work all week, all year long. Or what ever schedule I desire. How should I adjust my marketing program to be even more targeted to seek out those who need MY voice only? What would a client do? I often forget to ask a new client how they found me. That’s simple vital information I should know! So, I know where I need improvement in my business. Where do you need improvement in yours? 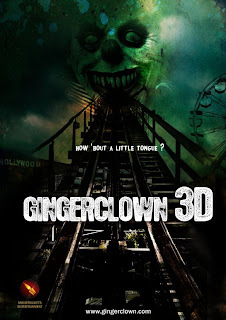 I just completed my character voice in the first English speaking Hungarian 3D feature film called GingerClown. Directed by Balazs Hatvani. Set for release early next year. I'll have more details later. Click link for full story. 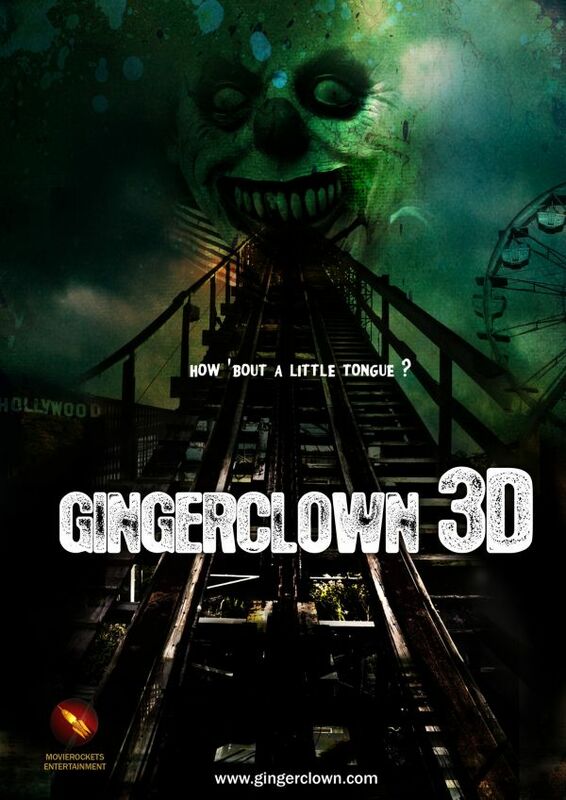 The voices are actors Tim Curry as GingerClown, Brad Dourif (Chucky from Child's Play), Lance Henriksen, Michael Winslow and Sean Young. Yes, this is a "slice 'n dice" movie. I play a creature named Sphere and have a dialog with Brad Dourif, Worm Creature. I also recorded the Trailer for the film. The session was recorded in my studio while being directed from Hungary via Skype running through my board. This is the first time I've gotten to work with such name actors... sort of! I'm looking forward to the release and getting my DVD copy! I'm narrating a new show airing on the Pursuit Channel (National Cable TV) called "Living Your Land." A celebration of living the rural lifestyle. I've been told it's set to air soon!